In this groundbreaking and original work of scholarship, four of the most influential and provocative art historians of our time have come together to provide a comprehensive history of art in the twentieth century, an age when artists in the United States, Europe, and elsewhere sought to overturn the traditions of the past and expectations of the present in order to invent new practices and forms. 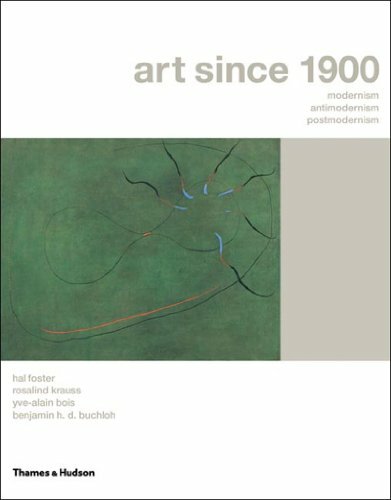 Adopting a unique year-by-year approach, Foster, Krauss, Bois, and Buchloh present more than 100 short essays, each focusing on a crucial event-the creation of a seminal work, the publication of an artistic manifesto, the opening of a major exhibition-to tell the story of the dazzling diversity of practice and interpretation that characterizes the art of the period. All the turning points and break-throughs of modernism and postmodernism are explored in depth, as are the frequent and sustained antimodernist reactions that proposed alternative visions of art and the world. Illustrating the authors' texts are more than 600 of the most important works of the century, many reproduced in full color. The book's flexible structure and extensive cross-referencing allow readers to follow any one of the many narratives that unfold, whether that be the history of a medium such as photography or painting, the development of art in a particular country, the influence of a movement such as surrealism or feminism, or the emergence of a stylistic or conceptual category like abstraction or minimalism. Boxes give further background information on the important figures and issues. In their insightful introductions, the four authors explain the different methods of art history at work in the book, providing the reader with the conceptual tools for further study. Two roundtable discussions-one at mid-century, the other at the close of the book-consider the questions raised by the preceding decades and look ahead to the art of the future. A glossary of terms and concepts completes this extraordinary volume.